Combine #2 for 2019 season! Looking to be a part of a championship organization? 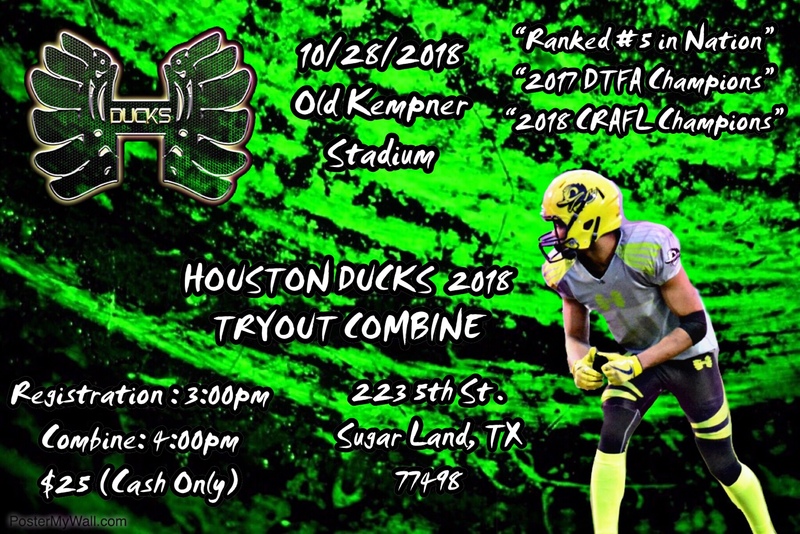 The Houston Ducks are hosting our 2nd Tryout combine for the 2019 season will be held Sunday, October 28th, 2018. Registration will begin promptly at 3:00 PM. The combine will start at 4:00 PM. Please be on time (!!! ), so that you don’t miss out on anything! • Bring your own cleats! Coach “Ham” promoted to Defensive Coordinator!